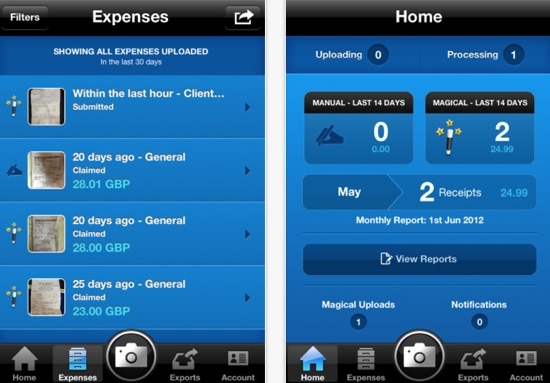 ExpenseMagic, which offers service for iOS and Android devices as well as for desktop PCs, provides users with a quick way to get their expenses, and their receipts, in order. This in turn makes it much easier come tax time, and keeps the accountants happy, or as happy as accountants can be around tax time, which is for accountants what Black Friday is for retail workers if Black Friday lasted almost two months. 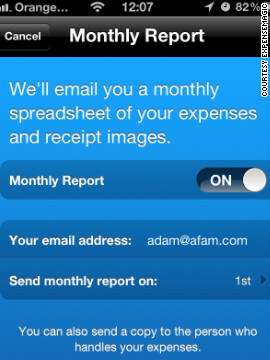 ExpenseMagic allows for receipt scanning, mostly done via a mobile device of some kind but also potentially done via devices connected to a desktop. Users will have to sign up with both OfficeDrop and ExpenseMagic in order to use the full range of services, but once the scan–or the photo–is taken, users can then move it over to OfficeDrop and ExpenseMagic, giving them a combined folder for all the receipts that day. There are some downsides to this service, and sadly, the downsides substantially distract from ExpenseMagic’s bid to be both simple and easy. The combined services often boast a lag lasting several hours in which photos of receipts taken and left in OfficeDrop may take overnight or longer to migrate to ExpenseMagic. Worse, the user interface isn’t exactly intuitive, and could stand a little revamping. But this is a minor issue, and the delay between OfficeDrop and ExpenseMagic is the kind of thing that can be easily worked around with just a little advance planning. Still, for those who don’t much care for delays, or those who need to convert their receipts to expense reports today, the OfficeDrop and ExpenseMagic team-up may not be the best move to make. Still though, the workarounds are comparatively simple, and most users should do all right here. Expense management is a great way to help a business grow, but it’s by no means the only one. Having proper access to cloud-based telephony tools like auto attendants and intelligent routing can make the process of contacting your business much simpler and with much less hassle for potential customers, making such tools very much worth considering adding to your business’ toolbox. While OfficeDrop and ExpenseMagic may not be the best way to manage receipts, they will do a reasonably effective job, especially if their limitations are accounted for and reacted to accordingly.